Either someone is having a bit of fun, or Girl in a Wetsuit – also referred to by some people as the Stanley Park Mermaid – is feeling the FIFA Women’s World Cup fever. 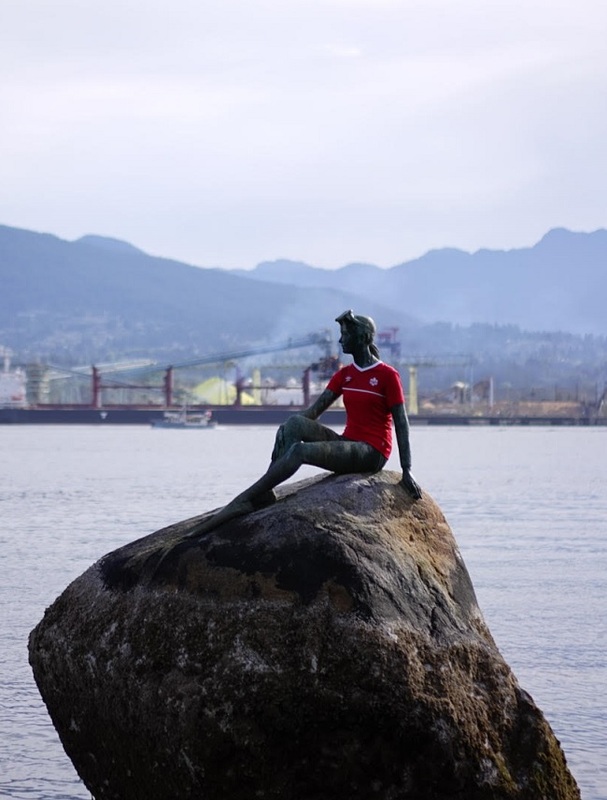 The iconic sculpture, created by Elek Imredy in 1972, surprised tourist and Vancouverites alike when it was found to sporting a Team Canada jersey today, as it lounged on it’s rock off the coast of Stanley Park. There is no information as to who completed the makeover, but with Team Canada marching closer and closer to the World Cup finals, it couldn’t come at a better time.